Moderated by Greg Lane, I.S.P., ITCP,IP3P, Director of Business Development for Avanade, Chair of the Canadian Council of Information Technology Professionals (CCITP), CIPS’ governing body, and Chair of the International Practice Partnership (IP3) this panel discussion of industry leaders will get attendees thinking about dominant issues in IT in 2009. IT is flattening the world. What are the challenges and opportunities globalization presents for technology professionals and leaders? At the same time, the Canadian tech industry is facing a labour crunch. Does setting the professional bar high work against the goal of attracting and keeping employees? And what about the labour issue? How will the tech sector stay ahead of shortages, and how can New Brunswick grow its IT labour force? Born and raised in New Brunswick Stephen studied science at the University of New Brunswick and commerce at McGill University. 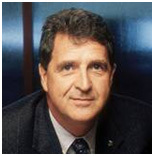 He started as a management consultant for various companies, and then moved into project management at Maximizer, a Vancouver software company, eventually becoming Vice President of Marketing in 2000, as well as serving on the Board of Directors of the Software and Information Industry Association (SIIA). He returned to New Brunswick in 2002 to take on the marketing role at Whitehill Technologies in Moncton, and in 2007 joined CGS Canada in a marketing consultation position. He is also Chairman of ThinkNB 2009, the only ICT exposition of its kind in Atlantica, where ICT firms come together to prospect, partner, collaborate, invest and recruit. Ian Cavanagh, As CEO of Ambir, Ian brings a wealth of experience and a proven track record working with high growth software and services companies. His knowledge of the global outsourcing industry is propelling Ambir towards realizing its full potential and capturing growth opportunities from their home base in Atlantic Canada. Ian’s strengths lie in his expertise in Executive Management, Business Development & Strategy, Sales & Marketing, International Markets, M&A, Venture Capital & Operations. Dr Ali. A Ghorbani, Professor and Dean, Faculty of Computer Science, UNB. Current areas of research include: Artificial Intelligence, Machine Learning, Web Intelligence, Information & Network Security and Computational Trust. Dr. Ghorbani is the Director f the Information Security Centre of Excellence, the Intelligent and Adaptive Systems (IAS) Laboratory and Network and Information Security (NIS) Laboratory. Curtis Howe, President, CEO and co-founder of Mariner Partners. Curtis has 25 years of experience in the telecommunications sector, spanning marketing, network operations, software engineering and network technology. He has led a series of IPTV developments and deployments beginning with the world’s first launch of a commercial service at NBTel (now Aliant Telecom) in 1999, where he served as General Manager, Systems Engineering, responsible for Network Technology and Information Systems. In conjunction with the2009 World Congress on Privacy, Security, Trust and the Management of eBusiness, CIPS NB is hosting this CIO Panel Summary. There will be a networking session immediately after panel discussion and I.S.P. holders will receive their ITCP certificates. Please register for this FREE event by Noon on Friday August 21st, 2009. This allows us to notify the Delta Hotel of the expected number of meals required by at least one business day before the event.